This old fashioned cottage garden flower. This All American award winner has tall spikes with beautiful variations in bloom colors of white, pale to medium pinks, to pinky-red. These are the heirloom, single and semi-double petal variety but some have smooth petals and some more ruffly. Hardy and easy to grow, this species can grow to 4-6 feet tall and often blooms the first year. This is a great, old fashioned cottage garden flower. Indian Spring Mix is an All American award winner, with tall spikes of beautiful variations in bloom colors of white, pale to medium pinks, to pinky-reds. 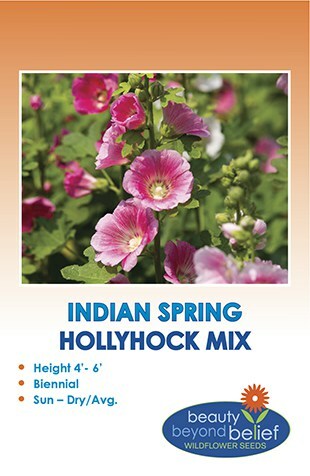 Indian Spring Mix Hollyhock is the heirloom, single and semi-double petal variety but some have smooth petals and some more ruffly. 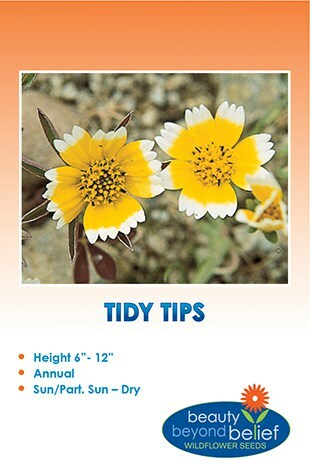 Hardy and easy to grow, this species can grow to 4-6 feet tall and often blooms the first year. Hollyhocks are biennials and usually take two years to bloom and then die back, but will reseed prolifically. They can be considered a short lived perennial in Zones 3-8. Use for screening, or backdrop to a garden. Plant near a wall or fence for support in a spot protected from the wind.